Here at Ananda Mandir the focus is on preserving and fostering the religious, educational and socio-cultural activities of the Bengali community in our tri-state (NJ-NY-PA) region. Each day, a wide range of programs and initiatives made possible by the donations of our community are happening at Ananda Mandir. We are building and expanding our facilities to ensure these activities occur in a world-class facility and that our traditions are sustained for the next generation. 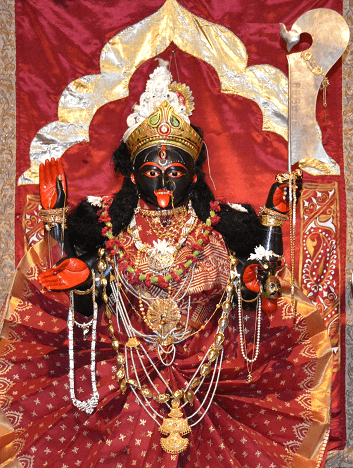 With limited funds but unlimited hope, leading members of the Bengali community in New Jersey got together in 1995 and incorporated Ananda Mandir as a non-profit, tax-exempt organization. Following intensive efforts to locate a property that could accommodate a Temple as well as a Community Center, Ananda Mandir purchased a 7.5 acre property in December, 1997. At that time, the property included a 2800 sq. ft., 6-year old ranch-style building and two additional usable structures. Ananda Mandir became debt-free in 2001 and began a serious effort to obtain Township permits for a Hindu Temple on the site. We received Construction Permit in November, 2002 – and we celebrated Temple groundbreaking with Bhumi Puja on December 7, 2002 – a historic date in our calendar! Temple construction was completed in 2003. The old ranch-style building has now become our Community Center. 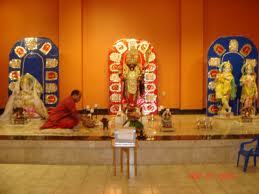 In 2011 we launched The Campaign for Ananda Mandir with a goal of raising $1 million by the end of 2013. With your generous contributions, we are almost there. The Campaign funds are being used primarily for the construction of a new and expanded temple with a classical Bengali temple faÃ§ade and a multi-functional cultural center. This two-year, $ 4 million project will be inaugurated in 2015. Ananda Mandir is open all days of the year. Ananda Mandir hosts a number of musical shows through the year. These includes major performance during Kali Puja, Durga Puja, and the Live Mahalaya which have gained great popularity in our community of music lovers. One such routine event is the monthly ANANDA SANDHYA, presented usually on second Friday evening of the month. This is a wonderful platform where our community musicians get a chance to showcase their talents.